Welcome to the Louisville Zoo’s Ticket Club! To purchase discount tickets and/or memberships through your Ticket Club membership, please select Admission Tickets or Zoo memberships below and follow the directions. If your company or association is not yet a Club member, click here to learn how your organization can join! Memberships to the Club are provided to approved organizations with more than 50 employees or members. Discounted products MUST be purchased online in advance of your Zoo visit (not available for purchase at the Zoo). An approved “Coupon Code” is provided by Club Member organizations and is required to receive any discounts. Profile: All purchasers will be required to set up a personal profile. A correct email address is required to receive online tickets and receipts. Follow this process to purchase General Admission tickets, Parking Passes and Special Events tickets when available. Type in your organization’s Coupon Code on the main ticket page. If do not, your ticket choices will be limited to non-discount tickets. The tickets and receipt are emailed to the email address used to set up your personal profile. Tickets can be printed or shown on a mobile device at the Zoo. Follow this process to purchase or renew a Louisville Zoo membership. At Checkout, enter your Coupon Code in the box pictured below. A confirmation/temporary member pass is emailed to the email address used to set up your personal profile. 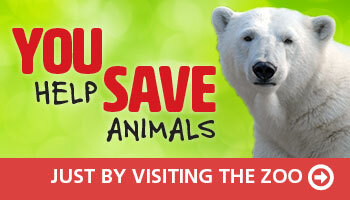 Printed or shown on a mobile device at the Zoo to enter and to redeem for your permanent membership card. Follow this process to purchase “The World’s Largest Halloween Party” presented by Meijer tickets when available. Select the date and time for the tickets you wish to purchase then click NEXT. Login to your existing profile or click NEW REGISTRATION. Select the total number of tickets you wish to purchase (do not include children 2 and under) and click NEXT. Next to the “Halloween Party (Member Guest or Corporate Ticket Club)” tickets, type in the number of tickets you wish to purchase and click NEXT. Type your coupon code in the box labeled Redeem Discount Coupon and click Redeem.